Even though I’m immersed in the rewrite of The Bench at the moment, I’m very aware that the publication of Yesterday’s Sun in America is fast approaching and I’m suddenly distracted by all of those images I conjured up of the gatehouse, the place where Holly comes face to face with her future in Yesterday’s Sun. The house itself was part of the Hardmonton Hall estate, all figments of my imagination that can be traced back to countless old houses scattered across England that have now become detached from the larger estates they once guarded. The imagery of the garden however was created from memories a little closer to home and while the rambling and overgrown grounds of the gatehouse where Holly finds the moondial is deep in English countryside and looks out over an orchard, the feel of the place lies deep within my childhood memories of my grandparents’ garden. 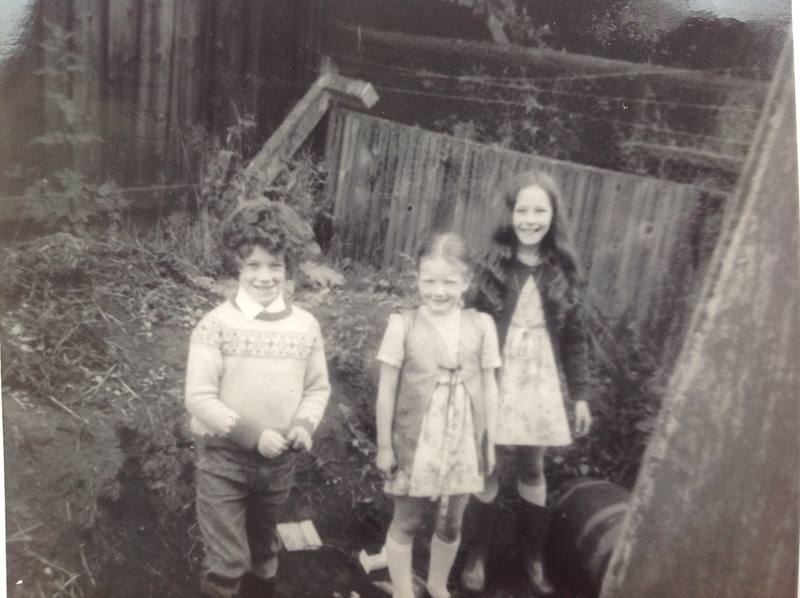 I was brought up in a terraced house in Liverpool so my Nan and Grandad’s garden a few miles away drew us kids like magnets. And now you’ll have to indulge me because I’ve managed to dig out some family photos. They don’t do the place justice but if nothing else, they give a good sample of 1970’s fashion. The garden didn’t have an orchard, only an apple tree grown from a pip my mum had planted when she was a child. 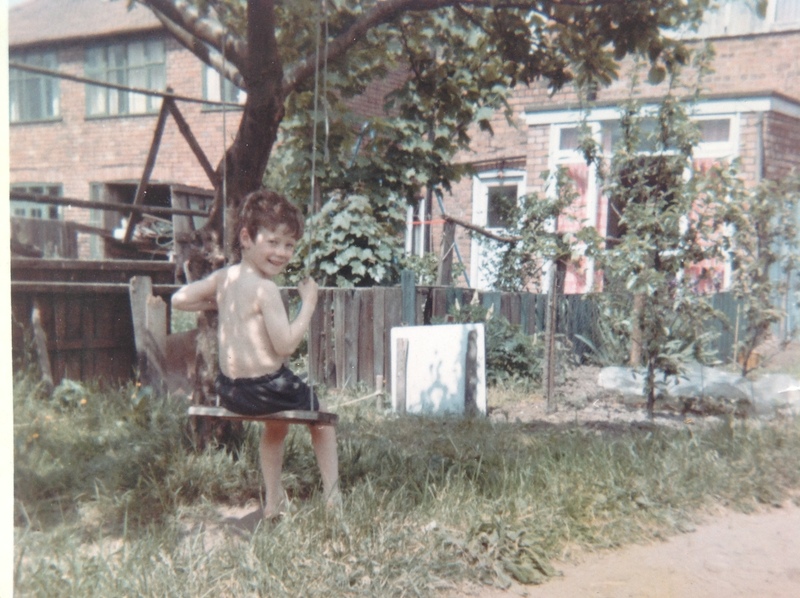 A homemade swing had been hung from one of its branches and we always fought for turns on it. Unsurprisingly, that’s one memory that appears in Another Way to Fall (which isn’t going to be out in the UK until September 2013 now but I hope you’ll find it worth the wait). You wouldn’t have found a large workshop in the garden either but there was my grandad’s shed. It had a strong smell of creosote and all kinds of tools crammed inside. My granddad was a shipwright at Cammell Lairds and was a skilled craftsman. I never realised until later that he had made some of the wooden toys we loved to find in their house, remnants of my mum’s childhood. It’s funny but whenever I think of their garden, the sun is always shining and all the memories are good. But enough of my reminiscing, I must get on with my writing! PS. If you must ask, I’m the younger girl but please don’t get confused – not all of the long haired kids are girls. My brother Chris did have such beautiful curls though!